COMING NEXT WEEK FROM IAN JAY COMMISSION WORKS: We’re going back to scenic DENVER, COLORADO for our second Rocky Mountain Fur Con! 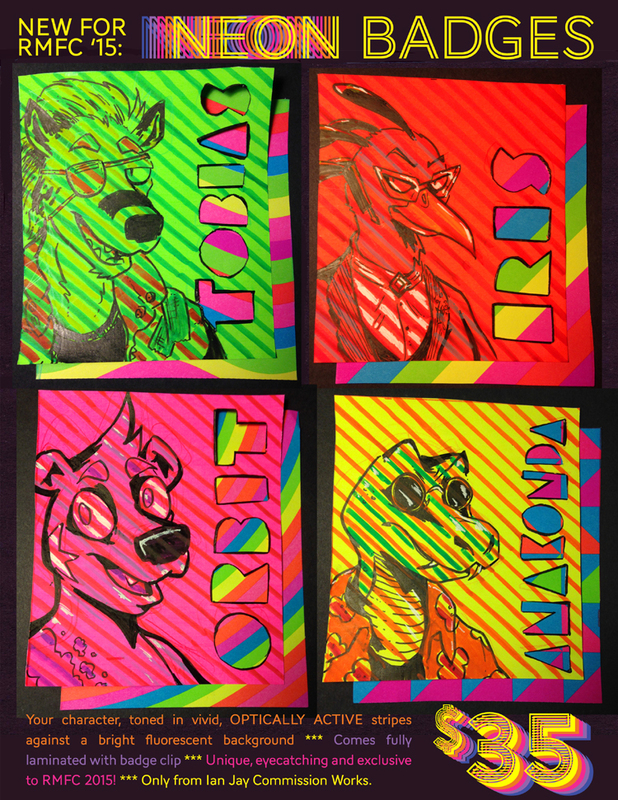 And to celebrate the convention’s bold Game Show theme, we’ve come up with a new con-exclusive badge style: NEON BADGES! 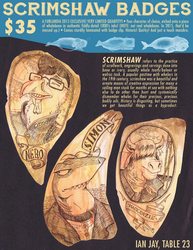 These are bright, BRIGHT badges, drawn on vivid fluorescent paper! Each features YOUR CHARACTER OF CHOICE, inked in black and toned with vivid striped patterns that create a shimmering, OPTICALLY ACTIVE effect when viewed at a distance. The photos here are good, but they don’t do it justice– in real life, these badges are show-stoppers! We’re asking for $35 for these! They’ll be available all weekend, or you can reserve one of four pre-order slots by emailing ianjaycommmissions@gmail.com. Hope to see you there!